This smoke-free condo resort features a restaurant, an indoor pool, and a fitness center. Free WiFi in public areas, free self parking, and a free area shuttle are also provided. Additionally, a bar/lounge, a coffee shop/café, and outdoor tennis courts are onsite. Each condo offers free WiFi, premium bedding, and an LCD TV with cable channels. Additional amenities include a coffee/tea maker, free local calls, and a hair dryer. 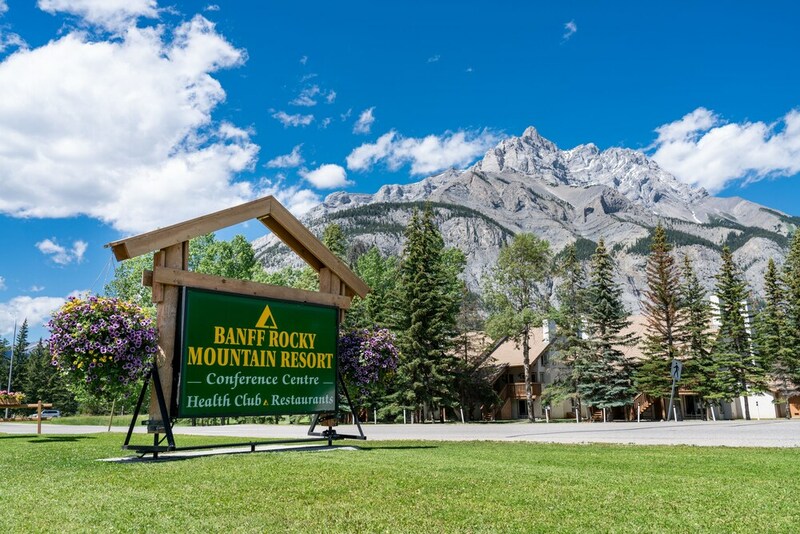 Banff Rocky Mountain Resort features 2 spa tubs, outdoor tennis courts, an indoor pool, and a fitness center. The condominium resort offers a restaurant and a coffee shop/café. A bar/lounge is on site where guests can unwind with a drink. Wireless Internet access is complimentary. This family-friendly condominium resort also offers a terrace, tour/ticket assistance, and barbecue grills. Onsite self parking is complimentary. Banff Rocky Mountain Resort is a smoke-free property. The Alpha Bistro - This restaurant serves breakfast, lunch, dinner, and light fare. A children's menu is available. Open daily. 2 spa tubs are on site along with an indoor pool. Other recreational amenities include outdoor tennis courts and a fitness center.